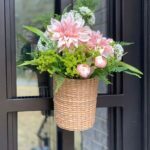 Today’s blog post is definitely a three-for-one deal! 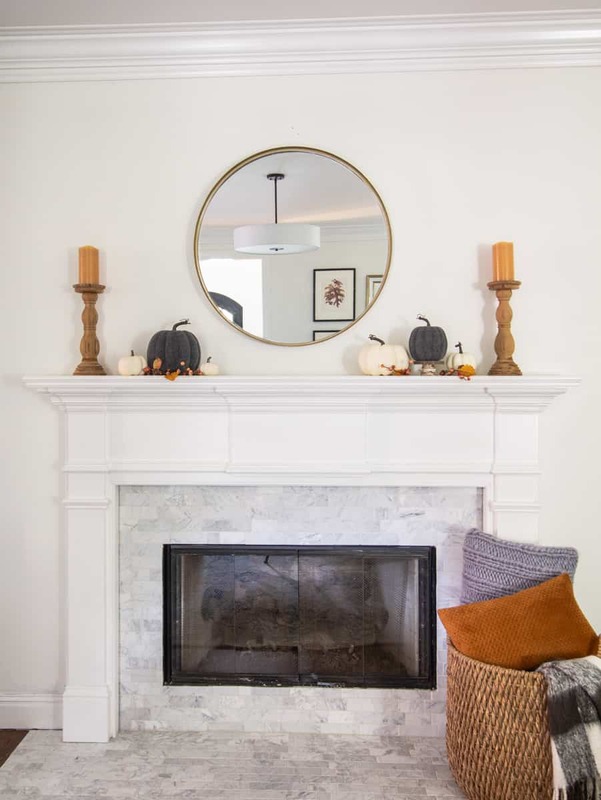 I am sharing 4 simple ways to style a mantle for fall and a round up of resources for large round mirrors for your mantle. 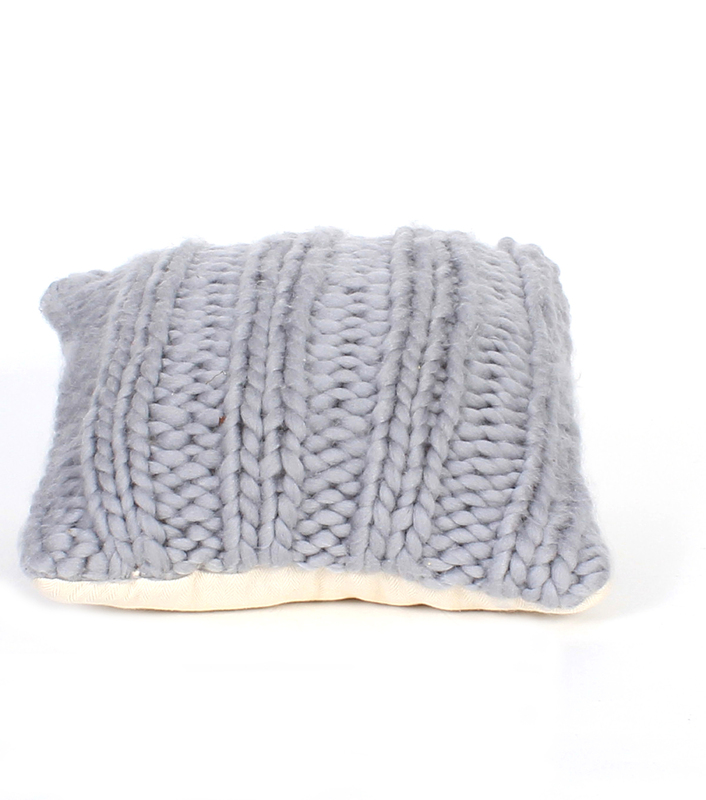 (I figured after you see these mantles you might feel like you need one in your life too!) 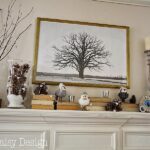 And then, I am participating in the Seasonal Simplicity Mantle Inspiration tour, so check out my blogging friends mantles below! 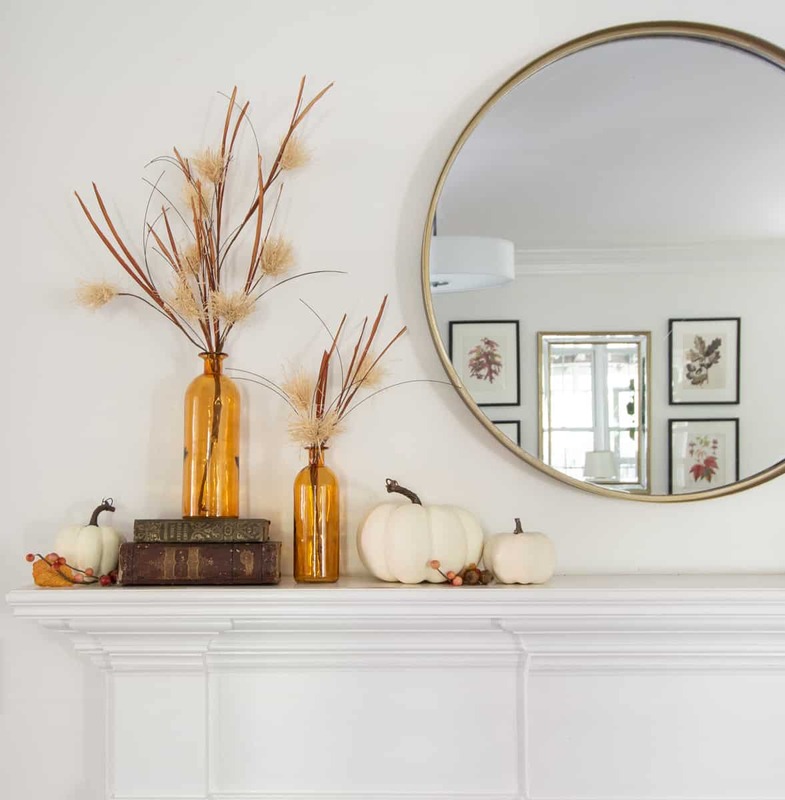 With the recent addition of a round mirror I wanted to keep the fall decor slightly understated and yet, classically-fall. 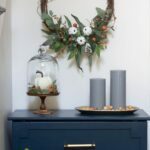 Most of the season items in this post were sourced from JOANN. 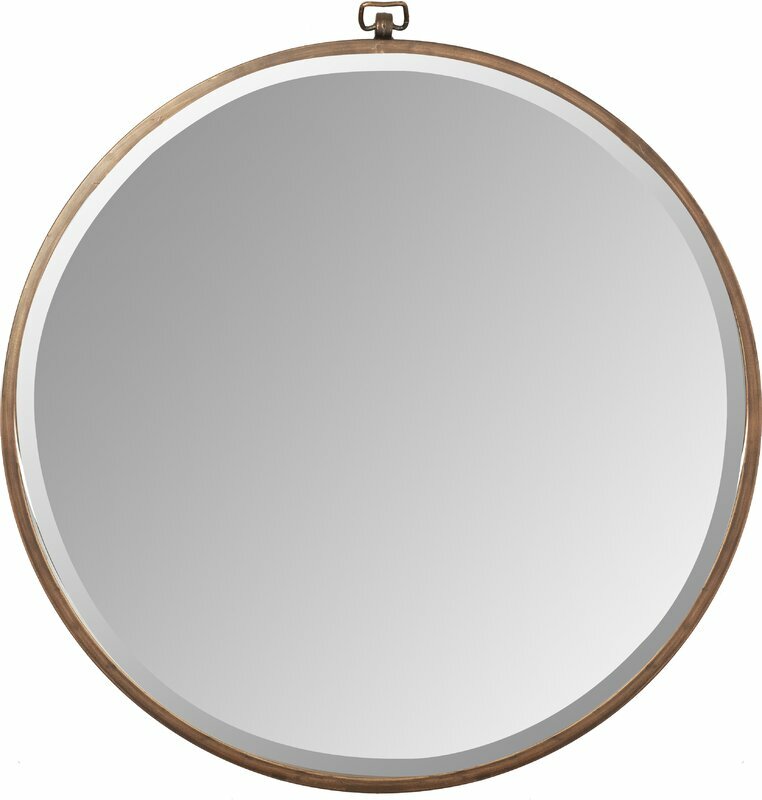 Affiliate links are below. 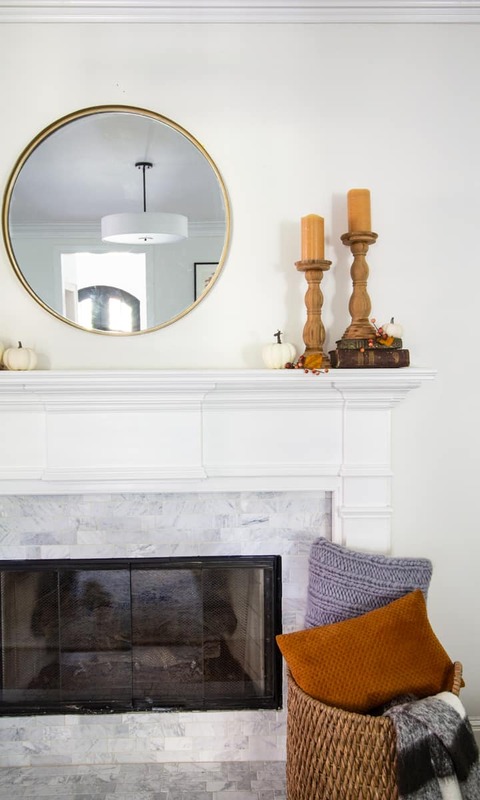 Insert a conversation I had with a friend who mentioned that she struggled to find a good selection simple fall mantle inspiration on Pinterest. 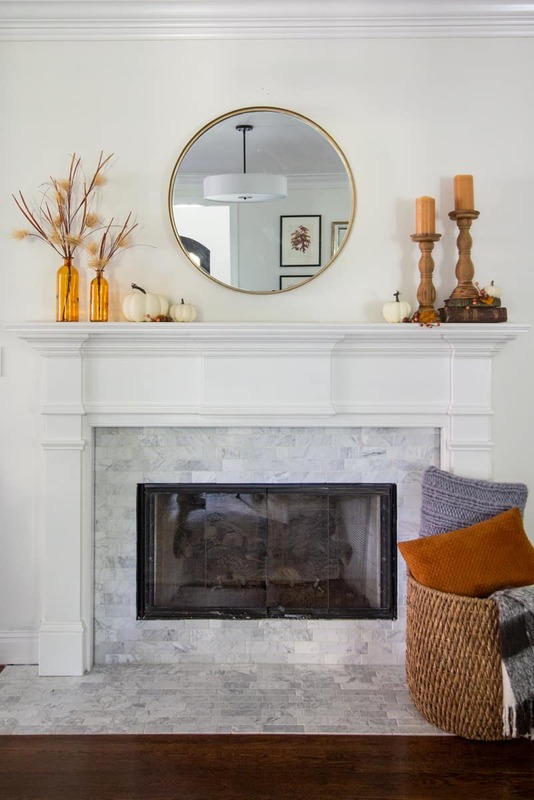 Since I tend to create several different options when I decorate my mantle, I thought I’d go ahead and share all 4 of the fall mantle scapes I styled. 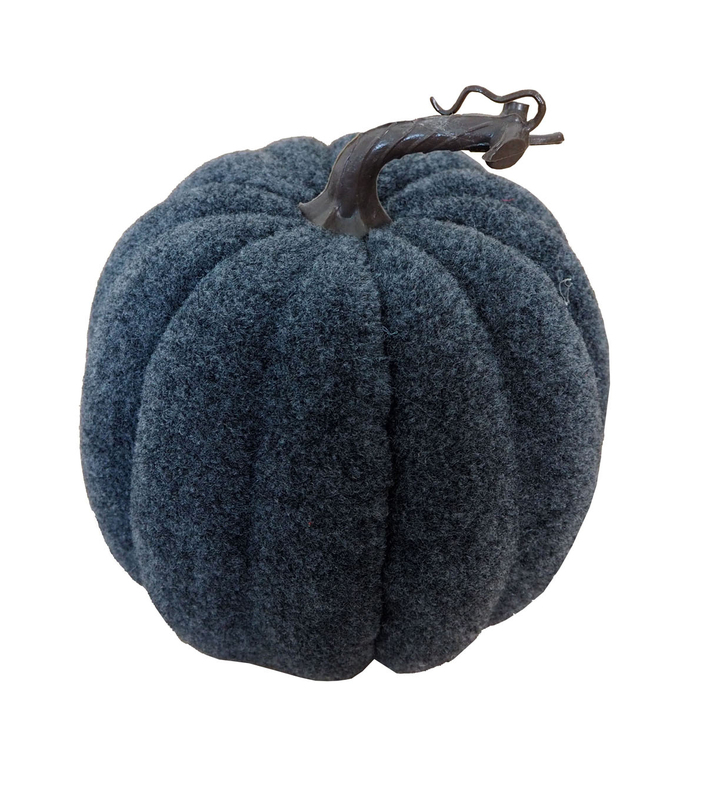 While this is clearly a fall themed post, the pumpkins could easily be replaced with small plants, flowers, or one of my favorite little fillers, straw boxes. 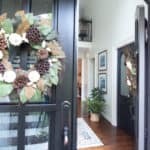 I would encourage you to think of these elements as simple place holders for any season. 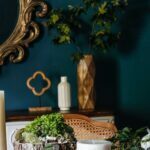 The first style is a classic combination of vases, books and vintage frames and art. 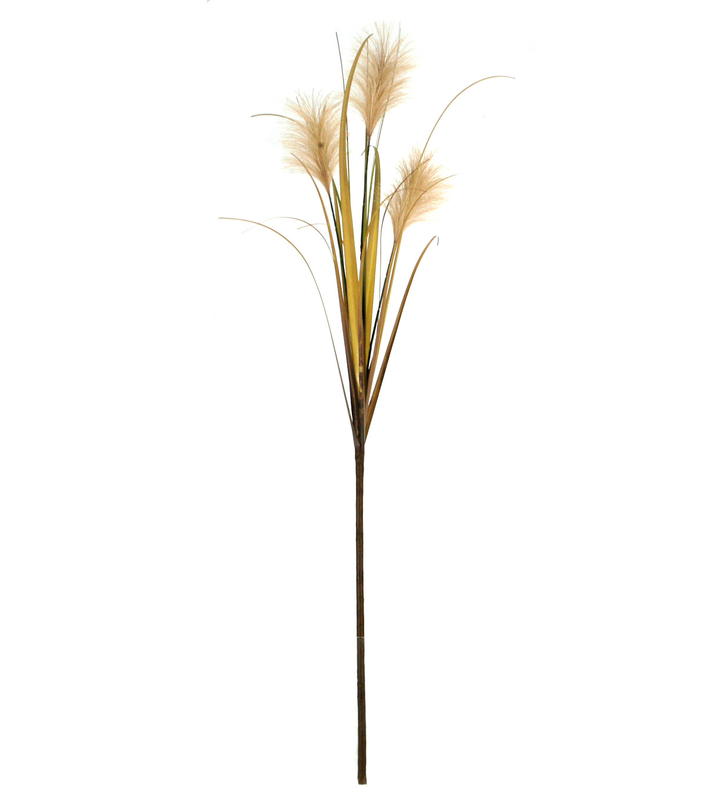 This asymmetrical design is where I started. 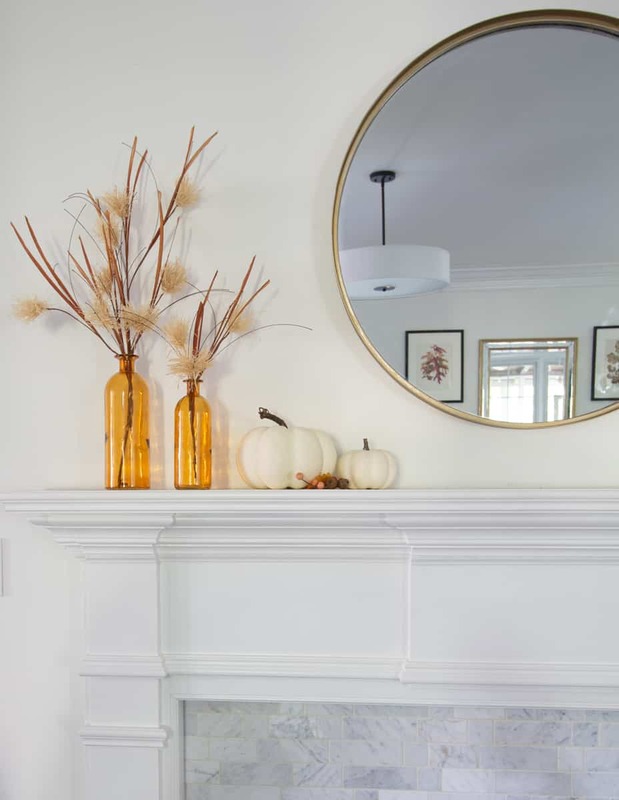 The wooden frames bring in the rich, warm feeling of fall. 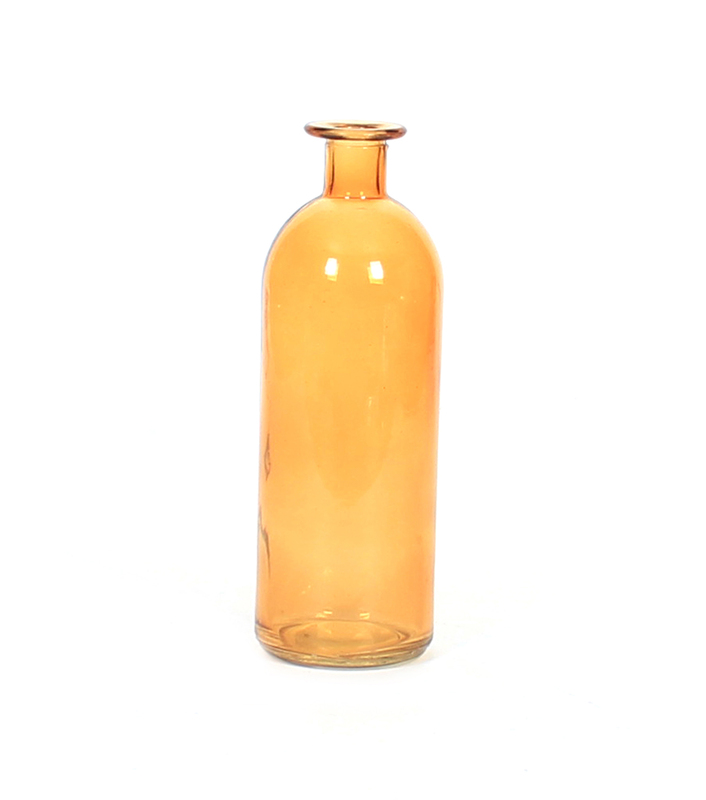 The amber glass bottles are paired with old books to create more height and highlight the curve created by the mirror. 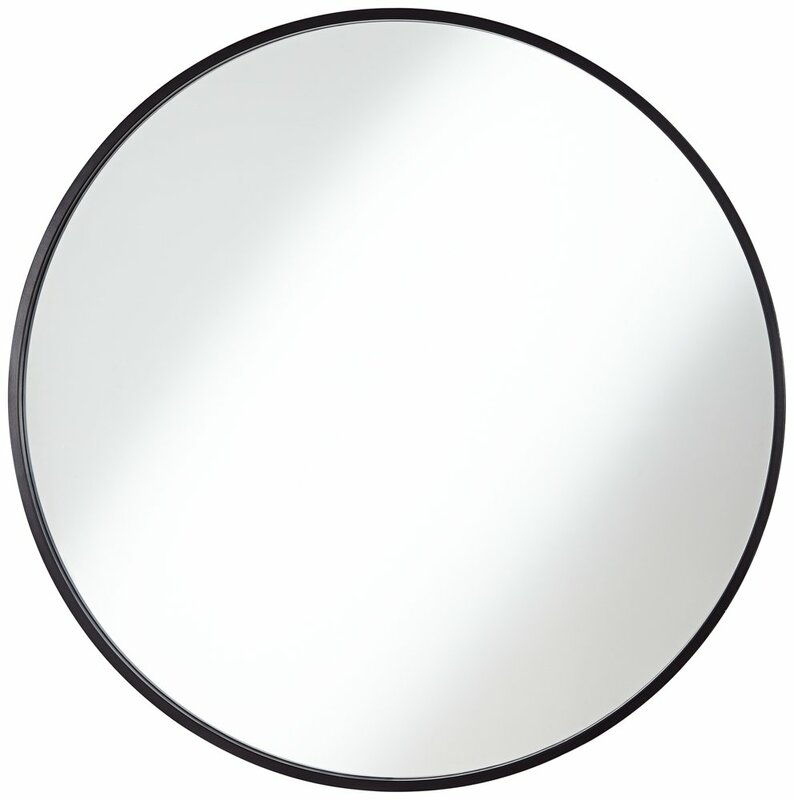 That’s part of what makes designing with a round mirror so appealing and so easy to decorate around. 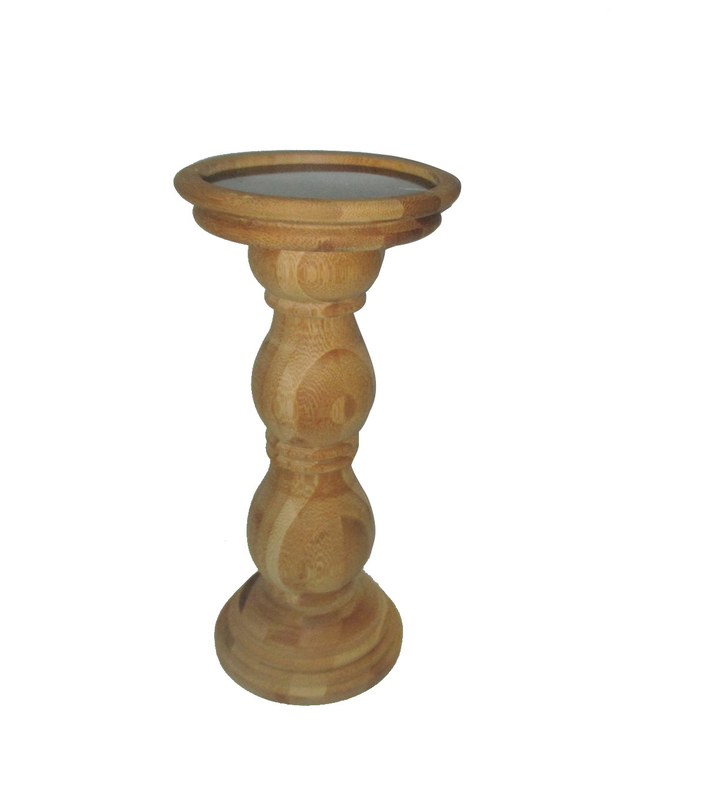 This version could be characterized as being balanced without being perfectly symmetrical. 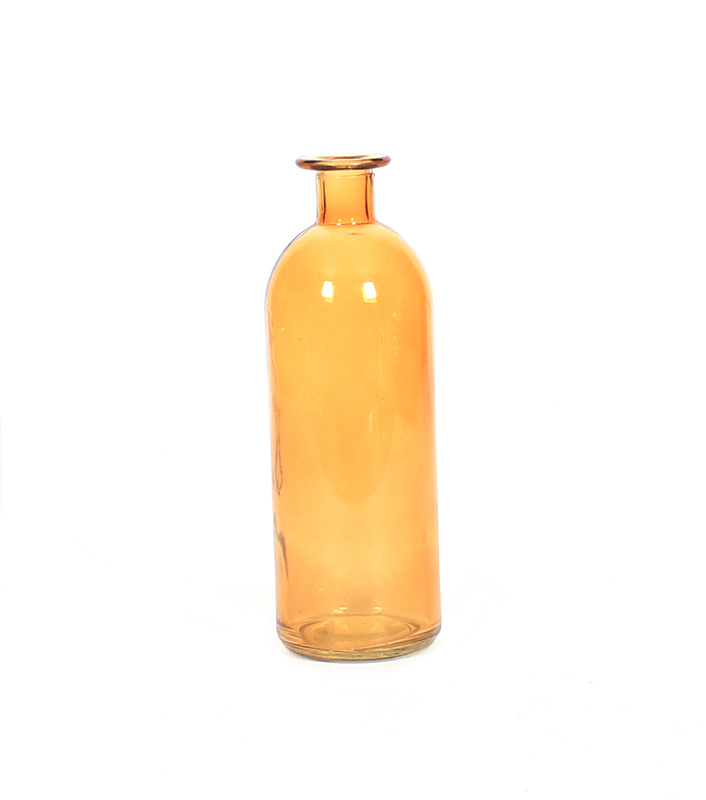 The key elements include the amber glass vases again, but they are paired with a pair of candle sticks. 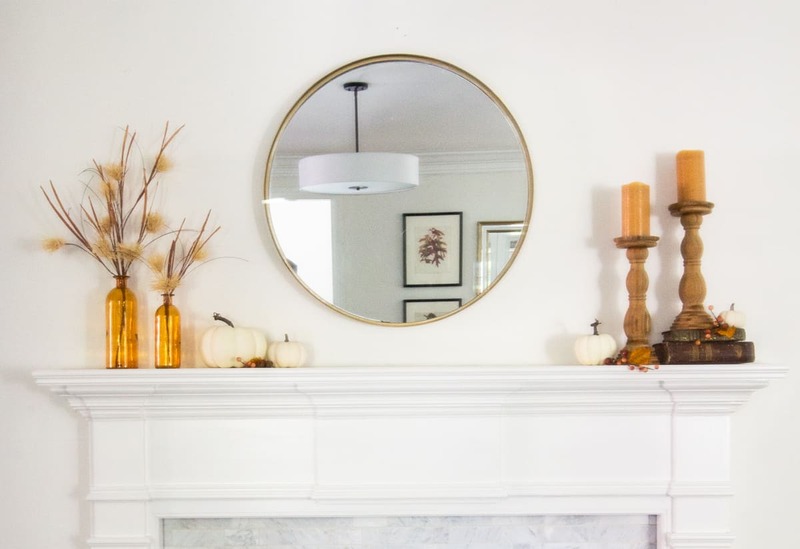 This time, because the candlesticks are the same height, I used the vintage books to raise one a bit higher to create the visual arc around the mirror. 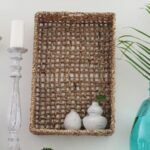 Two large vases and florals of any kind would be perfect elements for this style. 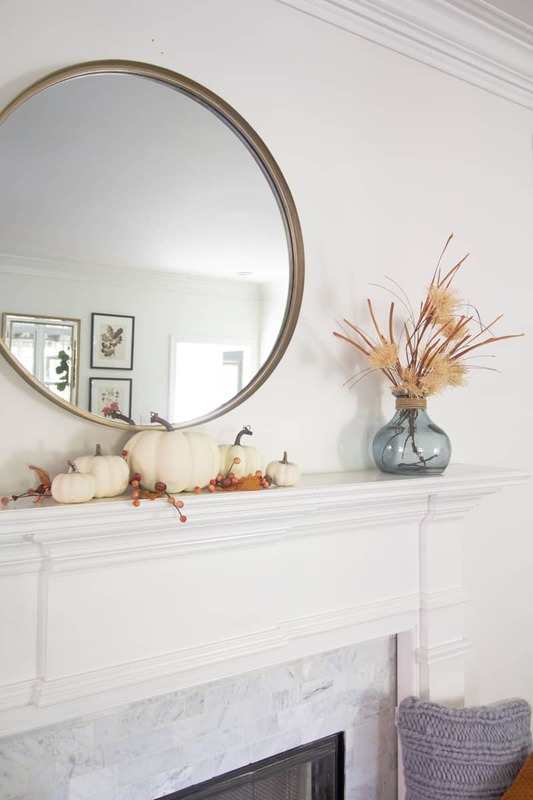 The pumpkins are collected under the mirror for the fall interest. 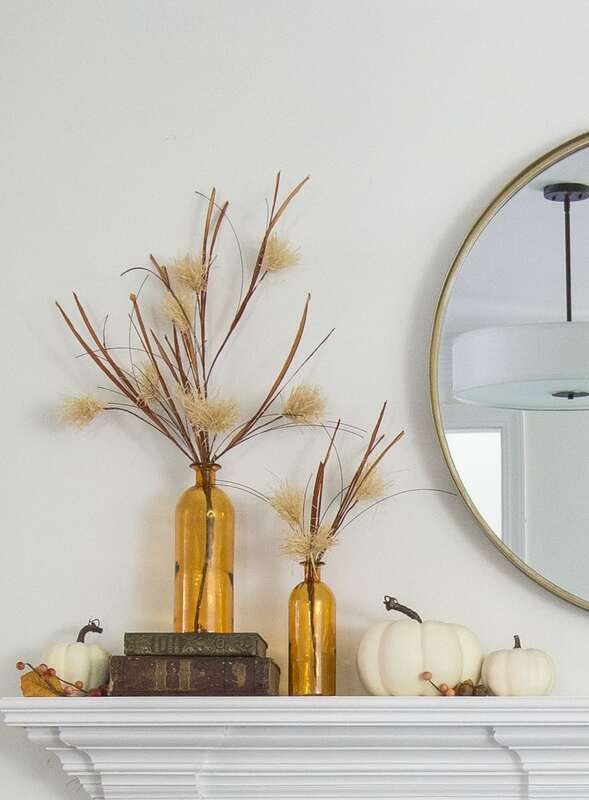 Version 4 is another take on symmetrical design but the pumpkins or additional decor are balanced on either side of the perfectly symmetrical candlesticks. I think the vases would look equally as nice here as well. 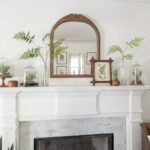 While the mirror and the items linked below are new, I am very found of shopping my house to create new looks each season, or whenever the mood strikes. 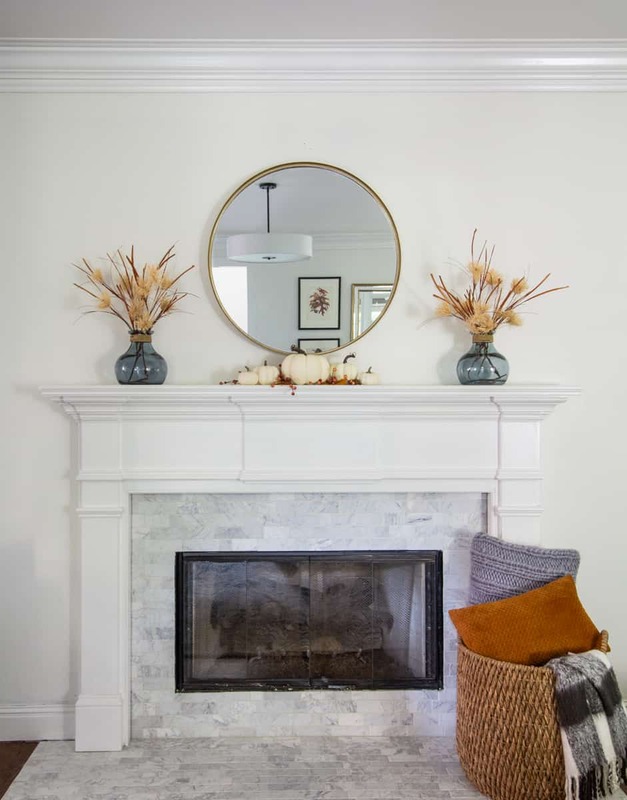 The most important element in choosing a mirror for above your fireplace is scale. 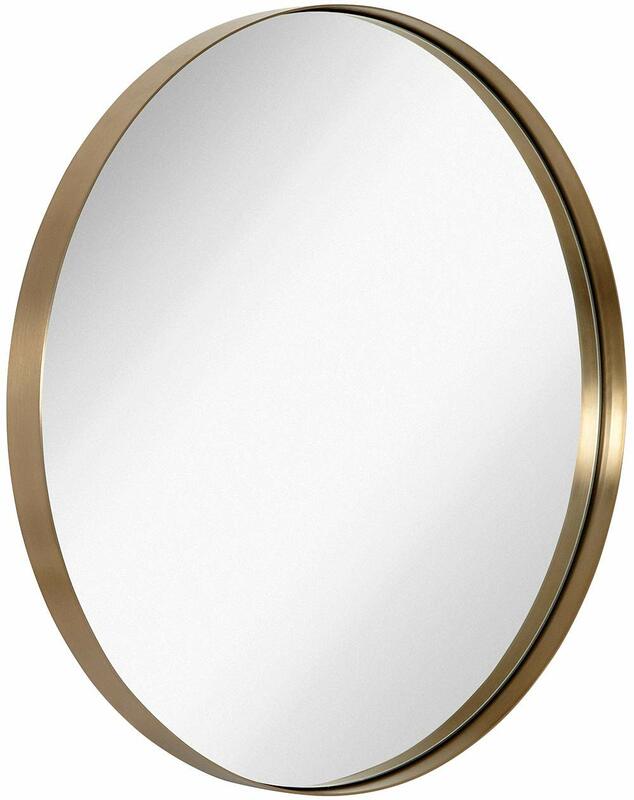 As a reference, the mirror over my mantle is 30″ wide. 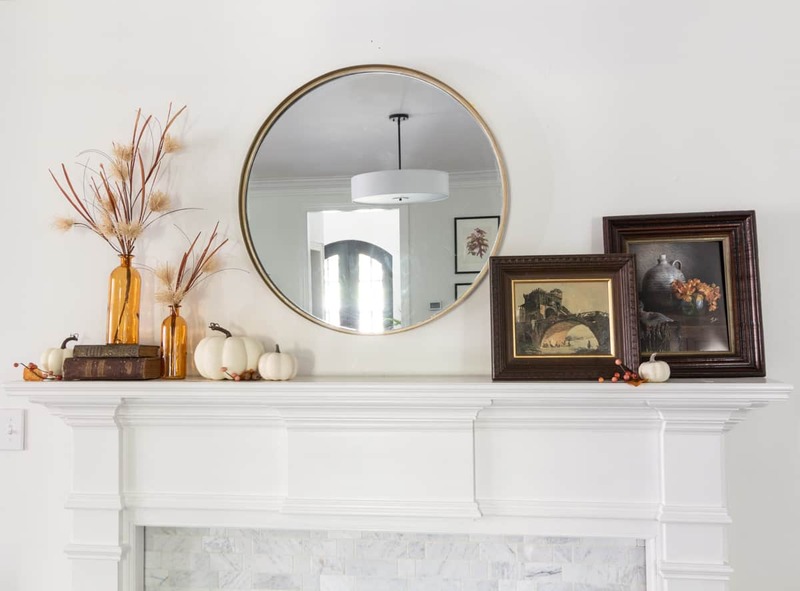 My mantle is very wide, 76″. Nothing smaller would have worked. 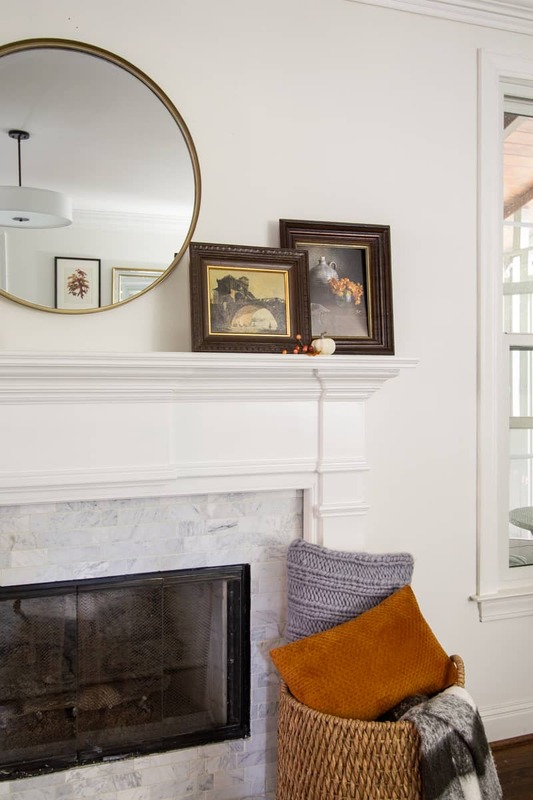 To that end, be sure to take into account the wall height above the mantle. Our living room isn’t vaulted and the ceilings are only 9 feet tall. 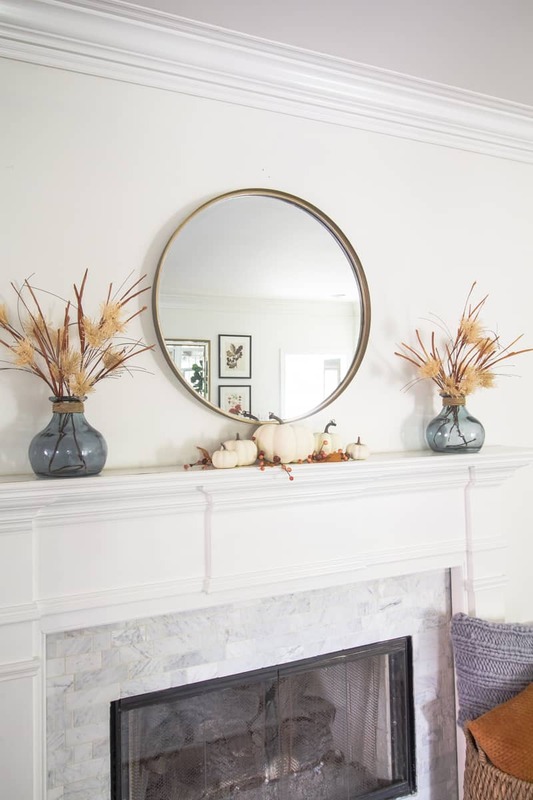 Choosing a round mirror that was on the smaller side of what my mantle could handle, and placing it closer to the mantle than the crown molding, gives the illusion of a higher ceiling. 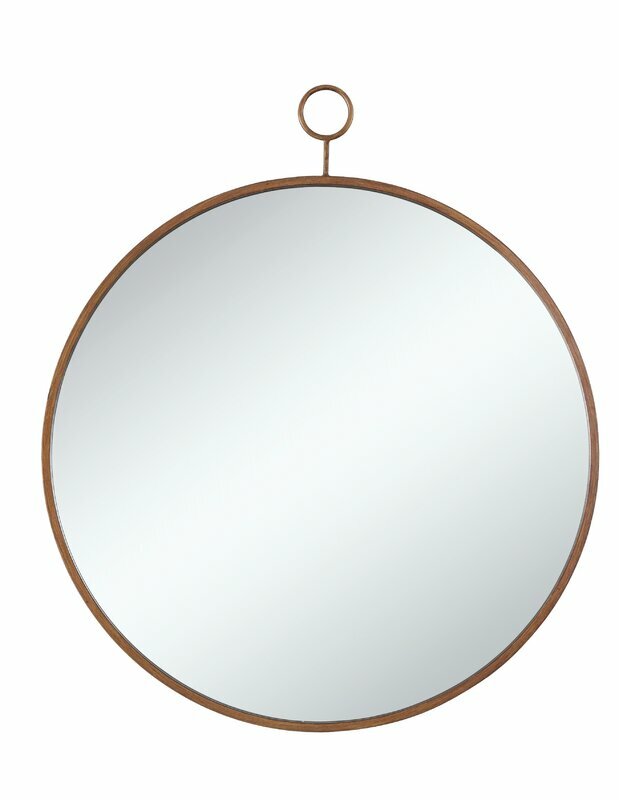 The first three mirrors listed are between 30-32″. The last three are between 34″ and 35″. The best part? All of them are under $200!! 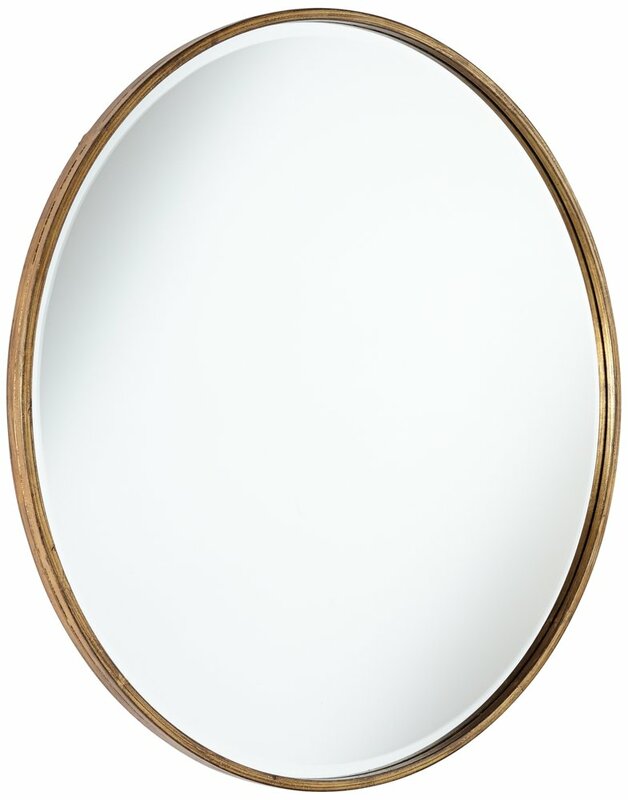 My mirror was a lucky find at Home Goods, but is most like #1. 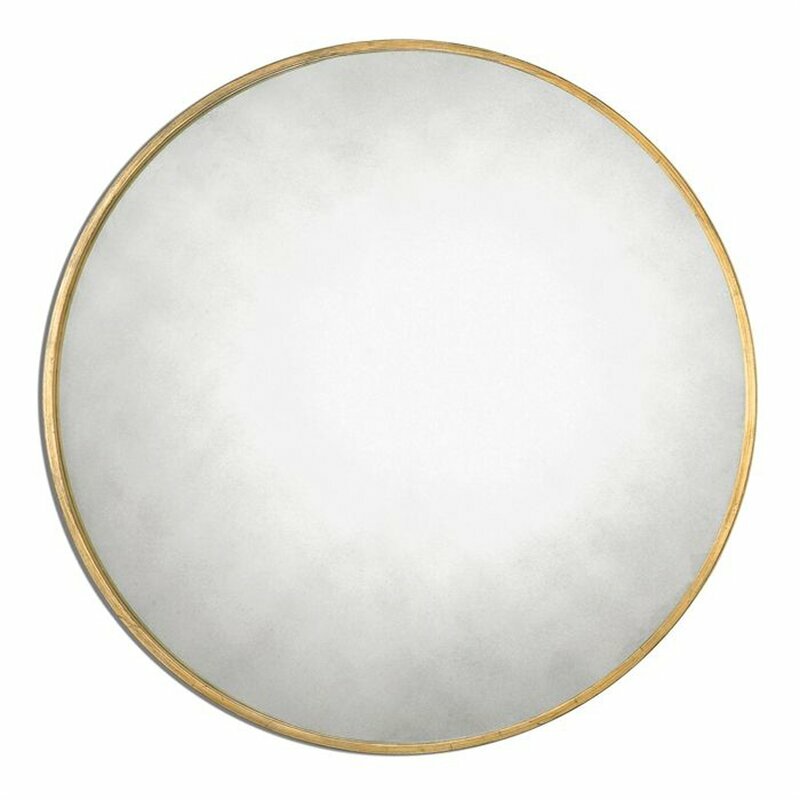 I painted the edge of my mirror with a mixture of gold and bronze craft paint because it was more slivery than I would have liked. 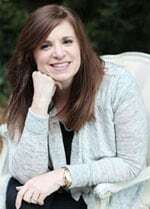 Special thanks to our host, Krista at The Happy Housie! Beautiful! 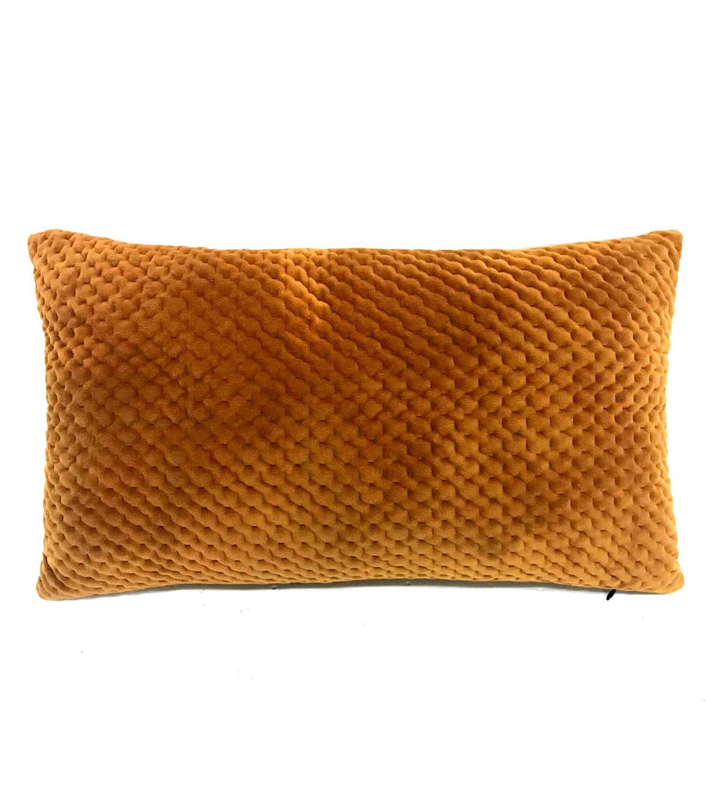 I love these rich browns and ochres for fall! 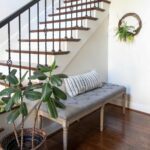 Love all of these gorgeous options! So pretty! Thank you for sharing! 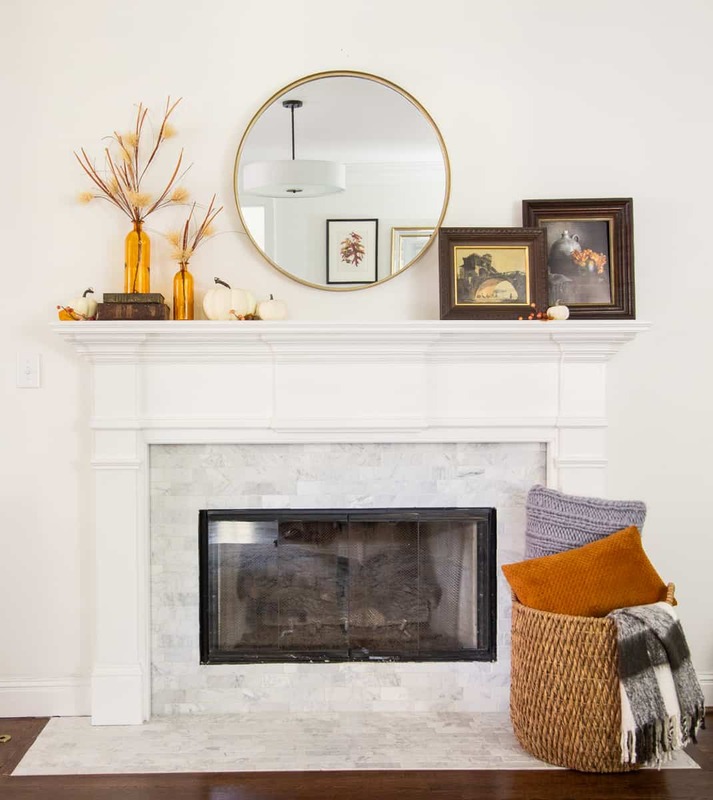 Beautiful mantel design and thanks for sharing all the tips! Thanks for taking part in this hop!